Mexican authorities have unearthed the bodies of six men from a shallow grave in the southern outskirts of the Guadalajara metropolitan area. A total of 45 corpses have now been exhumed from mass graves in the city since late last year and over 100 have been dug up in the western state of Jalisco since November. The first bodies were found last Friday night after police officers received a call complaining of a foul stench emanating from a farm near the Cerro del Gato hill on the border between the municipalities of Tlaquepaque and Tonala. Tlaquepaque police officers discovered bones protruding from a poorly hid grave and called agents from the State Prosecutor General’s Office (FGE) and the Jalisco Institute of Forensic Sciences to oversee the excavation process. The victims, all males aged 18 to 45, were killed two to six months ago, forensic experts judged from the level of decomposition. At least some of the victims died of gunshot wounds, but it could take 30 days for them to be identified by their DNA. 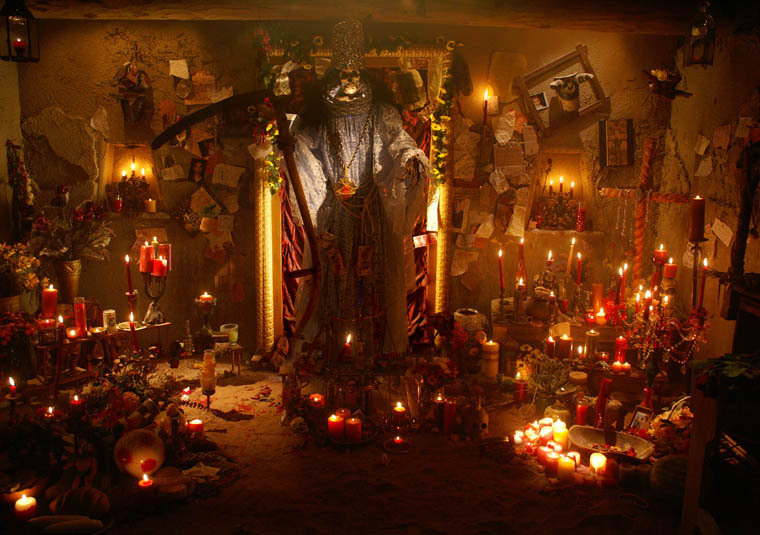 The corpses were found close to a shrine to Santa Muerte, an iconic female “Saint of Death,” whose worshippers include criminals and drug traffickers. The FGE suspects the bodies may correspond to victims of the Cartel Jalisco Nueva Generacion, which is believed to be responsible for a number of mass graves uncovered in the area in recent months. Another 19 bodies were found in mass graves in Tlaquepaque in February, while 17 more were exhumed in Zapopan in December. At least 67 more corpses have also been uncovered in the nearby town of La Barca since last November. The authorities believe the mass graves are a result of the ongoing turf war between the CJNG and the Knights Templar of neighboring Michoacan state. State Governor Aristoteles Sandoval said on Monday that several municipal police officers had been arrested in connection with the crime, but claimed that Jalisco “lives in peace” with statistics indicating a much lower level of violence than in other states.